This graphics card is powered by Nvidia’s latest GPU – the Geforce RTX 2080 Ti featuring Turing architecture and offers ray-tracing capabilities, artificial intelligence, and programmable shading. The factory overclocked GPU has a boost speed of 1815 MHz (default is 1545 MHz), and comes with 4352 CUDA cores that delivers performance of 10 Giga Rays/s. It also comes with 11GB of GDDR6 ram on a 352-bit bus, with a memory clock speed of 14 Gbps producing a total memory bandwidth of up to 616 Gb/s. 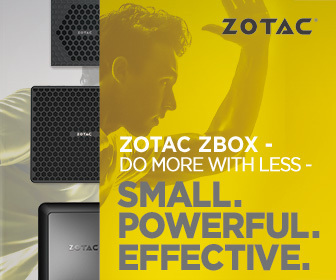 Since this is Zotac’s flagship graphic card featuring 11 GB of DDR6 ram and a factory-overclocked GPU, you can expect to pay a premium price. Currently costing around an eye-watering $1,700 it’s a heavy investment to make. But will the performance be really worth it? So what can we expect from this card? Well, it is an overclocked GeForce GTX 2080 Ti with the GPU running at a boost speed of 1815 MHz, so we can expect some truly amazing performance. It will definitely beat everything we’ve tested to date. You can buy the ZOTAC GAMING GeForce RTX 2080 Ti AMP Extreme (11GB GDDR6) Graphics Card for USD $1,700 from Amazon – https://amzn.to/2TNXVbf.